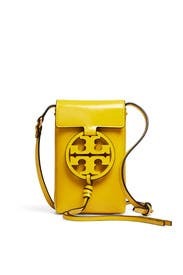 A tasseled laser-cut logo puts the signature Tory Burch stamp on the cute crossbody for your phone. 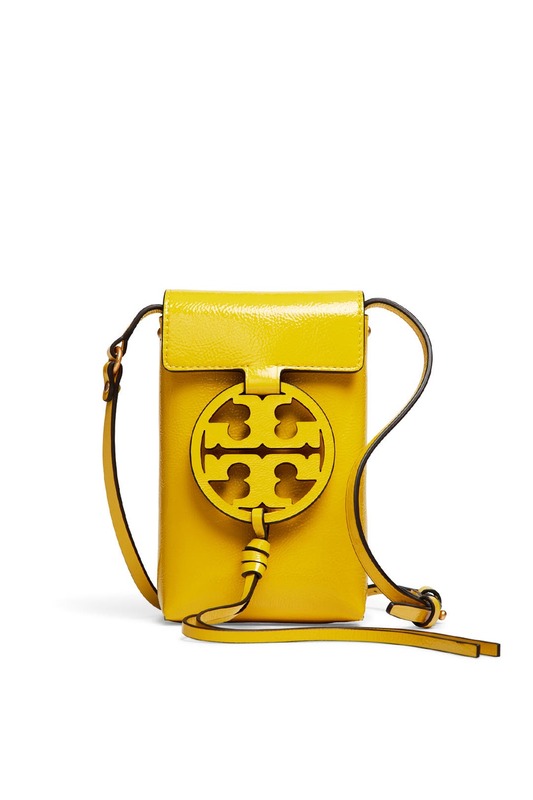 Bright yellow patent leather phone crossbody with tasseled laser-cut logo. Flap with magnetic snap closure, one exterior slit pocket, and three interior card slots. 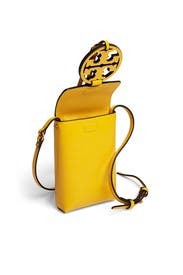 Crossbody strap with 23" drop. 6.8'H x 4.18"W x 1.2"D.